If there is a takeaway from the euphoria of celebrations that accompanied the June 12 investiture of honours on the presumed winner of the annulled 1993 presidential elections, Chief MKO Abiola, it is the fact that there is renewed hope in the positive destination of Nigeria. For nearly a quarter of a century after the Ibrahim Babangida led junta annulled the June 12 elections, a majority of the Nigerian electorate lost faith in the country's leadership. Leader after leader, from the interim arrangement led by Ernest Shonekan to President Goodluck Jonathan, the masses longed for a leader they could believe in but sadly couldn’t find one. While the right words come during presidential campaigns, the hope placed on the leader usually fizzled out when the president assumes the mantle fully, with accusations of cronyism and nepotism renting the air. Without a leader to carry their hopes, Nigerians, masses and elite alike, would after each election cycle return to their various domains, embittered and full of regrets for another four years. The belief the country could one day become great again goes to the cooler for another 4 years. All that changed on June 12, 2018, when President Buhari gave out the special national honours to heal the wounds in the land, largely brought about by the injustice that followed the June 12 agitation. President Buhari's graceful gesture not only rekindled the hope of a new Nigeria to Chief MKO Abiola’s family but to every Nigerian across the length and breadth of the country. President Buhari showed tact, diplomacy, maturity, forgiveness and most important of all, the political will to do the right thing without fear. Such was the renewal of hope that Co-founder of Michael and Cecilia Ibru University Agbarha-Otor, Delta State, Dr. Cecilia Ibru, called on President Buhari to proceed with the restructuring of Nigeria at an event at the Petroleum Training Institute, Delta State. Mrs. Ibru said the restructuring of the country is very paramount, much more than any other gesture to bring Nigeria back together again. That belief that Nigeria was long overdue and is no restriction to Mrs Ibru, many Nigerians believe restructuring was the only way of seeking redress on touchy issues such as reconciliation across ethnic lines, devolution of powers, resource control and other problems threatening to rip the nation apart. Is Mrs. Ibru's faith in President Buhari's misplaced? Not at all. President Buhari has supervised the initiation of new reforms like the signing of the “Not Too Young To Run” bill in law being one of them. He isn't leaving anybody out in this nation-building exercise. 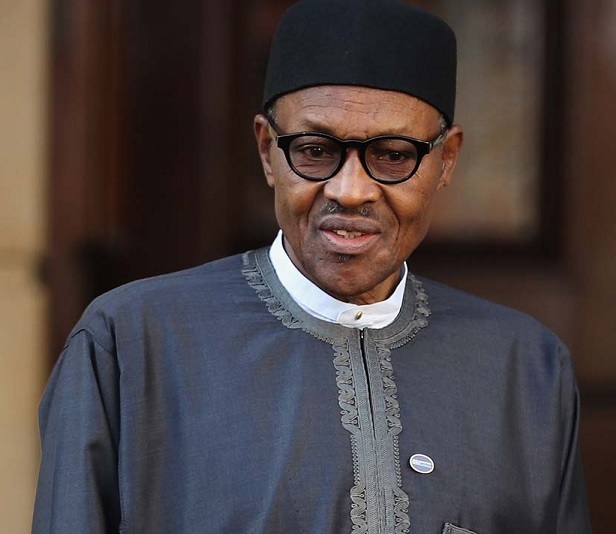 The address of the June 12 agitation represented a chance to further prove President Buhari has the sense of fairness and political will to pull the chestnut out of the fire raging against the nation's unity and growth. Despite getting caught up in the worst recession in recent Nigerian history, President Buhari did not get distracted nor exasperated by the daunting task ahead of him. Undeterred by constant criticism, the president alongside his strategic team rolled their sleeves and dug their heels in till calm descended on the economic situation. Are there still so many challenges buffeting the nation? Yes, a myriad. Has President Buhari reached the end of his capabilities? No. Not even the protracted illness of 2017 could put him out of action. He is poised to restore Nigeria to where she belongs in the comity of nations, what he needs is a renewed faith in the country's potential from all her peoples, old and young, North and South, East and West, in the urgent business of rebuilding the nation. Can President Buhari midwife a new Nigeria? Yes he can. But he can't do it without renewed hope and strength from her people. June 12 is the foundation block to reach out to greatness, hope Nigerians will not let ethnic or religious bias prevent us from making the most of the opportunity. I have a great feeling of things to come. Buhari is on the right path definitely. He's built for leading Nigeria. I've not doubt in him.